Chris Spivey is an African American war veteran who has been immersed for three decades in geekdom, with a primary focus on gaming. His love of gaming and geekery started when he was five-years-old and has grown exponentially since then. Over the years, Chris has seen the need for more diverse representation within the industry. Why is it that in worlds filled with aliens, foreign landscapes and fictional universes, the primary antagonists are predominantly hetero white males? And why, when we sit down to game with a new group, do people look at Chris with that, "oh-man-does-this-guy-even-know-how-to-game" look? 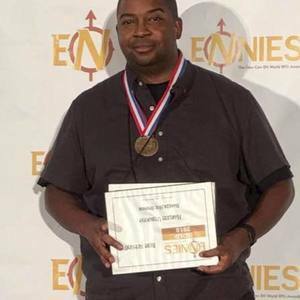 Chris designed the multiple Gold Ennie Award-winning game Harlem Unbound, and is currently working at Chaosium on several projects, including Harlem Unbound 2nd Edition. 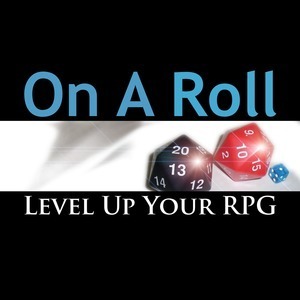 Some of Chris' gaming development and writing work includes Cthulhu Confidential, Out of the Woods, A Thousand Years of Night and a few soon-to-be-released items from Chaosium, 7th Sea, Godlike, Onyx Path, and more Pelgrane Press goodies. Chris – The Ennie Winner has been a guest on 1 episode.